Two separate uplifting musical currents crossed my wires in October with the biannual SIMRIT tour coinciding with a World Wide Web study of Beethoven's String Quartets. Here's an experiment to document this musical disjunctive synthesis. At first glance these musical entities appear to have little in common. One, a solitary composer, dead for nearly 200 years, under-appreciated in his time, but whose name has since become synonymous with musical greatness; the gold standard. The other an assemblage, a unit, of 5 musicians vibrantly alive and greatly appreciated right NOW by a small, but growing cognoscenti of world, trance, and yoga music enthusiasts; musical time and space voyagers. Now, with some justice, the various features enumerated here might be considered to be inward, subtle, technical, and even esoteric. If every impulse of the last style tended in this one direction, there might be a basis for the formidable barrier that the late works used to be said to present - do they still present? - to the common listener. But an equally strong 'public' impulse accompanies the 'private' one: a striking new directness of emotional appeal, a determination to touch humankind as nakedly as possible. Never in the past had Beethoven reached so urgently for immediacy. There is something very moving about the spectacle of this composer, having reached heights of subtlety in the pure manipulation of tonal materials, battering at the communications barrier with every weapon of his knowledge." 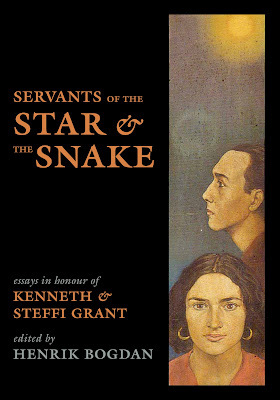 We find another connection on the level of qabalistic, Joycean dream language, the associative linguistics of stream of consciousness, this stream emanating from unconscious or subconscious levels; the genetic language of the Deep Self. One of Beethoven's significant musical teachers was Joseph Hayden. Holding the post of European classical music doyen in SIMRIT is Shannon Hayden. The names are spelled and pronounced slightly differently, Shannon's last name has a long "a" sound, yet one of her early music teachers, perhaps in a fit of magical wisdom, regularly and intentionally mispronounced Hayden to sound like Haydn, to connect and resonate the musical current of the classical Viennese master with that of her young student. Kerman begins his book quoting a similar transfer of musical current from Mozart to Beethoven through Hayden. SIMRIT truly plays World Music integrating traditions from all over our fair planet. As mentioned, Shannon's pedigree comes out of European classical music updated with the modern technologies of electronics, looping and sound sampling tastefully applied. She also occasionally puts down her cello for the American folk strains of acoustic guitar. I've known Salif Bamakora as a devoted student of West African griot or jeli music ever since I met him in Bamako, Mali more than 10 years ago. His mentors on the kora include the renowned brothers and kora masters Madou and Toumani Diabate whose family lineage with the instrument dates back to its invention. The rhythm section of Devon Ashley and Jared May have absorbed and played a widely eclectic array of music genres and species. As a drummer for the Lemonheads, Devon experienced firsthand the hybrid world of alt rock. Growing up in the urban zone of Chicagoland, his musical DNA includes underground rock, soul, rap, blues and anything else that hit the streets of big city midwest America in the last 40 years. Jared boasts an equal, but different level of versatility in music. I have recorded him playing Entwhistle meets Jaco progressive rock/jazz fusion riffs jamming with Isaac James and E.J. Gold at one end of his spectrum to solid, melodic tinged lines backing up the gospel/folk sounds of MaMuse. Lead singer and songwriter Simrit Kaur mixes East India influenced vocal sonorities with a sound all her own gathered from the culturally diversity of a Greek heritage growing up in the American South. More than one of them began their musical journeys playing or singing in church. They all like the Grateful Dead. The fall tour this year with SIMRIT began for me with a summer preview of a significantly revamped set list at the Beloved festival held near the Oregon coast in early August. The band emerged from rehearsals with at least two new songs and some rearrangements of other ones incorporating extended improvised sections. To these ears it seemed they had crystallized an aesthetic shift from a collective of musicians who played their memorized parts properly to a cohesive soul, a single unit responding musically to the moment. I took advantage of the highly professional stage crew at Beloved to properly mic Devon's entire drum kit. Usually, the drums get four mics: kick, snare, and stereo overheads due to input limitations with our stage box (snake) and in most venues this works well with a little dynamic mixing. Having microphones on the drums everywhere I desired highlighted Ashley's subtle and soulful playing. Devon joins the ranks of amazing drummers/percussionists that I've had the opportunity to work alongside. That day at Beloved was a long one. SIMRIT played first on the bill on the main stage around noon then had another set at 9 pm in the small meditation dome atop a hill looking over the site. After our well-received debut I headed up to the dome to check out the sound system and get a lay of the land. I was pleasantly surprised to find my friends in the group HuDost leading a dynamic, musical workshop. Jemal was providing psychedelic/ambient electric guitar soundscapings while Moksha pumped a harmonium and lead the small group in mind/body awareness exercises using intentional breath and visualization techniques. She employed a framework around the four elements of the ancients: Water, Air, Fire and Earth even incorporating a variation of what has elsewhere been called the Sufi heart chakra exercise, itself a form of what Crowley calls "love under will." The attendees of the Beloved festival appeared to me a classic snapshot of the diversity found in Tim Leary's fifth circuit intelligence: larval humanity attempting to break free from the prison of robotic, societal programming and expectations. Abundant bliss ninnies reveling in newly discovered hedonic gratification cavorted freely alongside the yogis, health food adepts and artists demonstrating how to put to use these liberated energies for maximum pleasure, humor and intelligence; hedonic engineering in practice. I viewed the proceedings with cautious hope. The start of SIMRIT's evening set in the small, white geodesic dome atop the hill looked to be heading for technical disaster. Inside the dome one found a beautifully fung shuied facismile of a sacred space that held about 40 people seating or laying down on the grass. If only they had put the same kind of attention towards the sound system. Setting up the band was a nightmare. The house tech didn't know how to use the brand new board someone else had brought in. I hadn't seen it before either; didn't even know they made mixing desks that small and cheap - about the size of 1.5 laptop computers, but with a postage stamp monitor. Once we thought the stage was connected, about the same time we were scheduled to start, Simrit tested her mic. It sounded like a sock had been put over it, dull and faraway. Some time was spent troubleshooting the problem in front of the packed audience patiently waiting. I intensely urged the technicians to get it together until I noticed the dude beside me on the mixing board beginning to act strangely to the point where I worried about a breakdown. I saw him making gestures with his hand over the board like one might draw a sigil in ritual magic as if this would solve the audio issues. This is called confusion of the planes. Once I observed this fellow's fragile state, I immediately and consciously relaxed letting go of all extraneous tension; instinctively stepping into the role of guiding him through his technical dark night. I felt him reflexively relax when I chilled; the problem was approached more calmly. I suggested that the lead vocal channel was broken (on this brand new mini-board) and suggested trying a different channel. Lo and behold, it worked. I was then permitted on the board and discovered that all the treble had been rolled off the errant channel. The tech thought all equalization had been bypassed, but the eq bypass switch strangely didn't apply to the low pass filter, the source of all the anxiety. This 40 seat geodesic dome decorated like a Hindu temple marked the appearance of the most detailed reviewer/critic of the sound I'd ever encountered. It seems my mixing supervisor from the Invisible College beamed themselves into the body of a woman who approached me and began making extensive comments. She began quite complimentary then quickly shifted into a meticulous analysis; "turn down 250Hz a couple of dB on the bass, try adding a dB of 8k on the vocal, etc. " I listened and declined to implement most of the suggestions. I did try her idea to put a touch of reverb on the harmonium. Usually I get annoyed by these kinds of intrusions, but I found it amusing in this environment to encounter this supervision. Besides, you never know who you're really dealing with. One can easily imagine Beethoven's music playing out into the resounding, reverberant, massive acoustics of San Francisco's Grace Cathedral where SIMRIT began its 2018 tour of the West. Setting up seemed a little like running through a labyrinth. Where are all the parts, how do you do this again? I had to evoke myself in the past to re-aquaint my current self with the operation of the M32 digital mixer. We had an outside sound company providing the front end - the house loudspeakers and amplifiers this time, thank God! The speaker arrays were flown above the stage allowing clarity of sound to reach all the way back to the start of this labyrinth pictured above. Interfacing with the excellent and professional sound company was part of the labyrinth of setting up. When Devon hit his snare I could tell something sounded wrong with the right speaker stack. I told the systems tech who discovered one row of speakers out, but was able to get them back online in a timely fashion. We had another issue with a bad drum overhead mic cable which I discovered immediately via the board's metering, yet the drums and cymbals sounded extremely clear and articulate with the just a single overhead mic working. I changed the bad cable only because it seemed better for the recording. Like any journey, the whole tour became a sort of labyrinth, following Ariadne's thread through highways, streets and alleyways; gas stations, hotels, homes of generous, loving supporters, restaurants, health food emporiums, backstage potluck to these incredible pockets, or chambers, of transcendence and sanctuary - the concerts themselves. The architecture of the building expresses itself in the acoustics of the space. The musicians, with their voices, resonant devices and electronics, amplification and lighting technology bring the Cathedral to life and allow the building to fully express itself through the musical expression of the human invocants. This chamber paradoxically becomes both a landing pad and a point of lift off. The space itself becomes alive in a very non-human way, pregnant with possibility while electromagnetically engendering a collective experience. In the words of Vanessa Noelle: "It was heavenly. 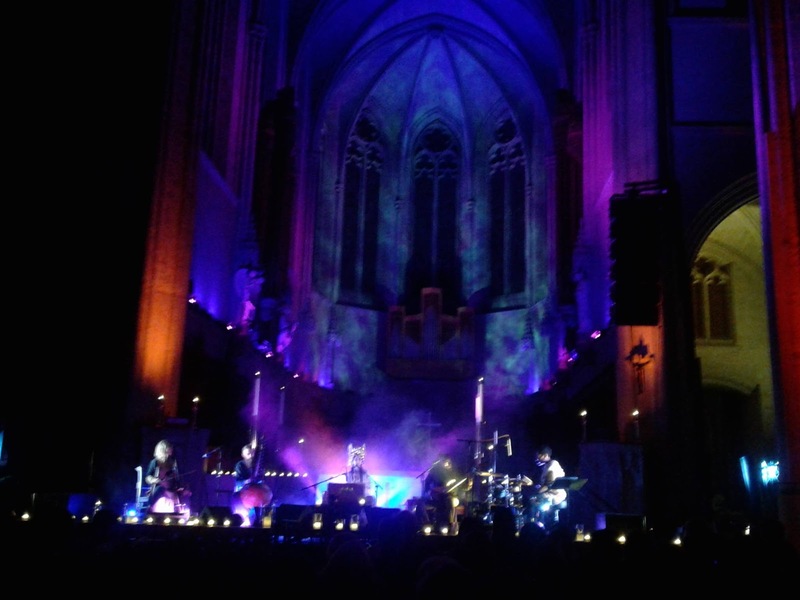 Their sound really resonated in that big cathedral with high ceilings with their music. " Grace Cathedral was close to home and with 2 days off and a travel day before the next concert, it felt separate from the rest of the tour. For me, the tour began with the traveling. It started in Edmonton, Canada and finished in Encinitas, California near San Diego. There was snow on the ground and winter conditions when we started and it felt like the end of summer 3 weeks later in sunny Southern California when the tour concluded. Behind the figure of the goddess is the celestial globe. Most prominent among its features is the seven-pointed Star of Venus, as if declaring the principal characteristic of her nature to be Love. (See again the description in Chapter I of the Book of the Law). From the golden cup she pours this ethereal water, which is also milk and oil and blood, upon her own head, indicating the eternal renewal of the categories, the inexhaustible possibilities of existence. She did get what she came for at every city on the tour even those locales that don't begin with the letter E.
Traveling through the Canadian Rockies was the scenic highlight of the tour, for me. This time around my go-to music was Beethoven's String Quartets as played by The Tokyo String Quartet. On tour driving through the Canadian Rocky Mountains listening to the E minor and C major quartets on headphones. Driving through valleys between Earth reaching up to Sky with pure white snow crowning the peaks. These mountains come in all shapes and sizes, some resembling pyramid-like Egyptian tombs housing long dead giant Queens and Kings. Another one suggests a castle chess piece. These geological expresssions from our fair planet are always a wonder to behold. Earth creates mountain ranges with the same poise and beauty as Beethoven creating his symphonic music. Including these disparate musical innovators – Rainey was called the “Mother of the Blues” – in the same line shows Dylan’s respect and acknowledgment of Beethoven. Dylan’s avid interest in musical history – whole PBS documentaries have been made from his collection of old film clips – indicates his great respect for Ma Rainey whom he pairs with Beethoven. The remaining lines of this stanza superficially appear as a cynical view of societal programming. The title Tombstone Blues obviously suggests death. Old folks home suggests death lurking close by. A college gives education. The Invisible College educates invisibly. 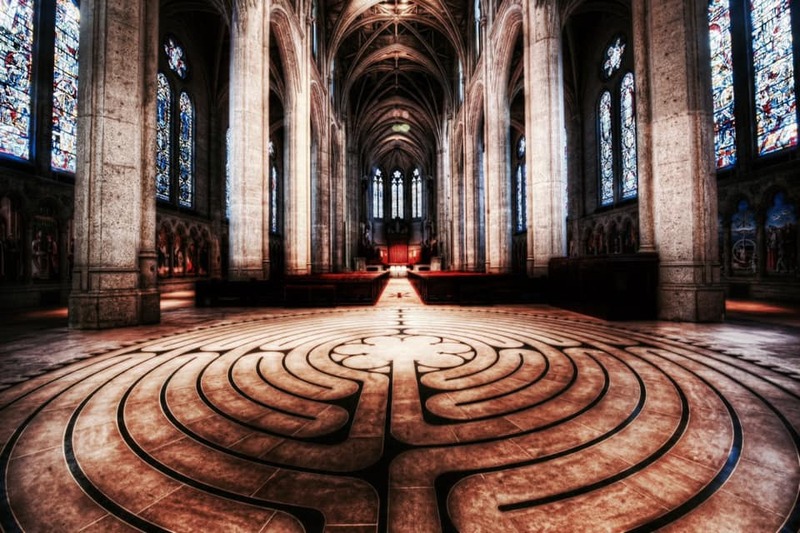 Educate yourself about death; make a roadmap to the soul. I submit that Beethoven's music contains similar instructions. A lot of great music seems didactic in a multiplicity of different ways along the lines of a spiritual education, an education into the mysteries of death and the life that follows. Every SIMRIT concert does, different each time. We got robbed in downtown Vancouver. I went out to smoke and, probably unrelated, noticed several police in SWAT vests hanging in the Lobby so I casually got out of there as quickly as possible. I stood by our Sprinter and breathed in the night air, surrounded by a very active urban scene, even in the parking lot, I noticed. I strolled around the neighborhood giving the officers a chance to do their business in the Lobby before going up, and encountered a number of colorful characters space and time tripping, a fashion bricolage from central casting mashing together a number of different eras including the future. The next day, setting up in a church, we discovered the van had been broken into and a harmonium, drum sampler and stage clothes had been stolen. Foresightedly and fortunately, it had been parked with its back doors against a fence making them impossible to open, barring the thieves from getting at the majority of the gear in the back hold. Replacements didn't seem difficult to get and it did teach a relatively harmless lesson: protect your valuables or they will get taken. As below, so above. The hardest place to do the sound was St. John's Episcopal Church in Los Angeles, one of the most challenging venues for acoustics that I've ever heard. The interior, a large cathedral space with a high arched ceiling, seemed entirely made of stone. I felt like I was mixing inside a large tomb, a pyramid with a different shape. Fortunately, the band played exceptionally well, some consider it the best concert of the tour and I don't disagree. I went a little more radical with the processing to meet the challenge of the acoustics and the sound worked out. Another interesting bit of luck is that the M32s malfunctioning USB card that had been blocking multitrack recording for the past few concerts decided to do its job that night, the night SIMRIT reached a new height was caught on the cyber equivalent of tape. We got a recording! That was the last time this USB card worked and it has since been replaced. 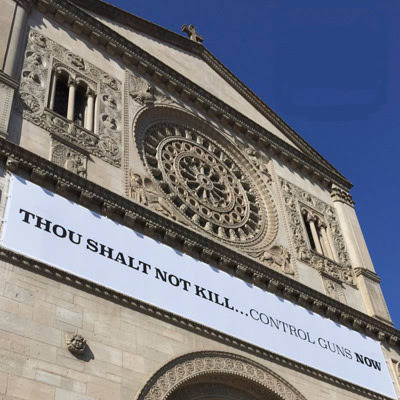 I thought this seemed quite a political message for a church, a message however that goes on a backburner whenever there isn't a horrific mass shooting in the news. The next morning brought news of a deadly, senseless attack at a synagogue in Pittsburgh that left 11 people dead. It put me in a bad mood. I don't know why I take these things personally. We had a different kind of gig this day, providing backing music for a Kundalini workshop hosted by Jai Dev Khalsa. I enjoy this kind of change of pace. It takes place in a small yoga studio, a setting more intimate that your average concert space, and is completely improvised on SIMRIT'S part. Jai Dev begins these workshops with an introductory, free-ranging discourse. His talk this afternoon was one of the best public talks I've heard in a long time. Without being specific, it addressed, for me, the morning tragedy in Pennsylvania. The question that always comes up in the aftermath of these aberrations is, what kind I do about it? How can I help? Waiting for politicians to legislate gun control has proven to not be a solution. This discourse provided suggestions. Being a student of the philosopher Crowley and of the magician Deleuze, both spiritual descendants of St. Nietzsche, I subscribe to the notion of evolutionary Immanence. I interpret this idea to say that we have vast potential, right here, right now, to develop powers to help and heal far beyond what common consensual reality tells us is possible. Jai Dev brought up the idea of service to others as contrasted with service to self. This very basic distinction often gets overlooked. From an enlightened perspective, service to others = service to self, or should I say service to Self. Also, there are times when service to self seems necessary in order to better serve others. These are my editorial comments, I don't remember what he said verbatim. He then proceeded to show the gathered students the active power of (again in my words) "love under will": opening the heart chakra then directing that energy with intention. I participated as best I could directing my energy toward Pittsburgh. This energy becomes substantially sensible once it crosses a certain threshold. Jai Dev brought up the idea of protection saying that the open heart chakra substance can provide its own protection. Without the experience of feeling these high energetics then losing or having them taken away, the idea of protection can seem a little paranoid. The higher neurological circuits - C5 and C6 in Leary's exposition, appear very unstable and transitory to conscious awareness. You can get there, but how long can you stay? It takes many repeated efforts over years to crystallize a stable body, a stable awareness with the power to act in these higher circuits of consciousness. These repeated efforts comprise the activity of establishing new territory in a higher dimension. Tuba players now rehearse around a flagpole. The National Bank at a profit (accumulated higher substance) sells roadmaps to the soul. This gets collectively known as the alchemical process. The substance radiating from a healthy open heart can provide its own protection, but doesn't do so automatically. It requires directed intention to make a protective frame of some sort; love under the will to protect will get the job done. The higher emotional circuitry needs the alignment and participation of the higher mental circuitry. Visualizing any kind of sacred iconography while under the influence of the higher emotional - a cross, om symbol, etc. will provide a protective barrier. Studies in parapsychology have shown the symbol of the 5 pointed star, otherwise known as the pentagram, to be very effective at blocking energies. Perhaps this explains its prevalent use in both the U.S. and Soviet militaries, and probably others. The banishing ritual of the pentagram has been claimed by several authorities (Crowley, Regardie, Cornelius etc.) to be one of the primary and most important rituals in ceremonial magic as it banishes extraneous influence and distraction, invokes C6 and protects the invocation. It was the only external ritual Crowley performed on a daily basis at his Abbey in Sicily. Another primary Thelemic exercise, Liber Resh, ( I call it the Sun Adoration) illustrates the necessary cooperation between the higher feeling and higher thinking circuits. The student gets instructed to say a short prayer and identify with the cardinal points of the different phases of the sun in the daily rotation of our planet - dawn, noon, dusk and midnight. The prayers deviate with each phase of the sun though they all conclude on the same note: "Tahuti standeth in his splendour at the prow and Ra-Hoor abideth at the helm. The nomenclature comes from Ancient Egyptian mythology. Tahuti = Thoth, the god of writing and magic = the higher mental apparatus. Ra-Hoor = the higher emotional circuit. The higher self or soul is viewed as a boat traveling across the sky with those two characters powering and steering it. After the workshop we all went to a place in a quiet part of Hollywood for dinner. The Sprinter got parked beside a newish, nondescript brown building with nothing but names in memoriam and Hebrew letters adorning its exterior. There was no sign of business or residence. I wasn't sure if it was a temple or mausoleum. My second project after the SIMRIT tour finished was a last minute marathon mixing session with local artist Ludi Hinrichs. 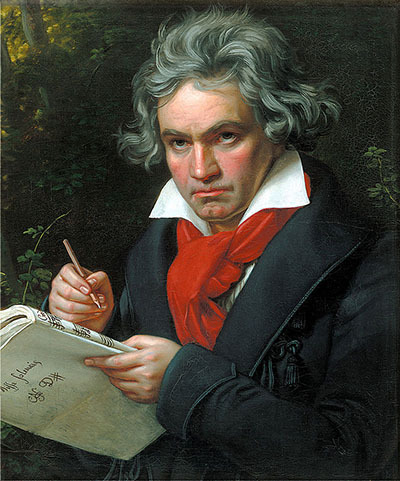 I was astonished to discover his full name: Ludwig van Beethoven Hinrichs, his father named him after Beethoven. A musical resonance of excellence certainly transferred from the dead master to the living artist due in part, possibly, to the power of a name. Part of my mixing job involved editing out unwanted noises and sounds. This lead Ludi to opine that I could advertise myself as a "Disappearing Artist" and put the phrase, "Nothing too visible," on my business cards.